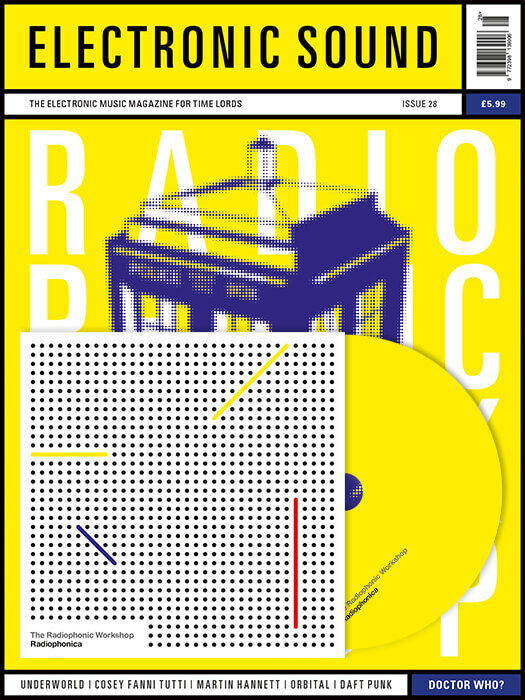 The April 2017 edition (28) of Electronic Sound features an interview with the Radiophonic Workshop, and a limited edition bundle includes a gatefold CD of rare and unreleased tracks. 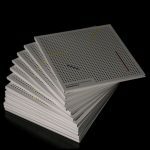 A 12-track album of never-before-heard collaborations, mixes exclusive to this collection of tracks from their forthcoming album of analogue improvisations, and some Delia Derbyshire archive material that has been worked on by the likes of Tom Middleton (Global Communication) and Dot Product. The CD album comes in a gatefold sleeve and initial quantities include a unique tape loop obi, a little reminder of the physical roots of the Radiophonic Workshop’s method. This special CD will not be in the newsagents and will only be available as part of a special limited edition bundled with the magazine to purchase direct from us.